It took me many years to understand the simple truth that Ana shares in this essay: to serve others effectively means taking care of yourself. This seemingly obvious point indicates a major blind spot in our educational systems – that students don’t truly understand how to take care of themselves. They become so outer focused that they lose all but a superficial sense of self-care. Ana seems something of textbook case of a student for whom “social conscience” alone wasn’t enough. I taught her in grade 9 where she had a phenomenal second semester discovering the joy of service. She wrote an outstanding research paper on voluntourism in Cambodian orphanages, and then for her Elixir Project, she went to Cambodia to learn more about the issue and implemented her own project to support a Cambodian NGO that was genuinely supporting children. Yet, as she shares in this paper, her love of service still left something missing in her life. She identifies this missing piece as the ability to serve herself. Ana succinctly shares in her final essay for my junior-senior elective religion class “Service,Society, and the Sacred what I have been trying to figure out in my teaching for close to three decades: “In Humanities in Action, I learned how to be of service to other people; in Service, Society,and Sacred I learned how to be of service to myself. The combination of these two has made me feel like a more complete person.” This is the yin-yang that we need in education: yes, we need to go out and heal the world, but at the same time healing needs to be at work within. Thanks, Ana, for sharing this insight in the context of your journey through high school. “Service, Society and Sacred” has been a very unique class. In all of the years I have been in school there has been no class like SSS. It was incredibly refreshing to have a class that focused on the students’ well-being. This semester has been really busy and stressful but this class has acted as a haven. A place where I could come in and not have to think about academics, I could instead focus on how my body was feeling and who I was as a person. If I could use one word to describe what I have gotten out of this class, it would be relaxation. While this may not seem like a very profound word, when every situation around you is stressful and it feels like life is going at 100 mile per hour, being able to relax was so valuable to me. Ana (left) saying goodbye at the Foshan orphanage, which ignited her interest in Cambodian orphanages. the meaning of suffering and service. It made me aware of my passion for helping other people. In this class, I did a project where I studied NGOs in Cambodia and ending up gaining a very strong relationship with one of the NGOs I worked with, Cambodian Children’s fund. When I left Cambodia, I continued to volunteer with them from Hong Kong by helping at their charity galas every year, bringing students from Cambodia to Hong Kong to speak with students from my school, and by attempting to start a club. Through working with CCF and my experience in Humanities in Action I realized I have a passion for service and NGO work. issues got so bad that I would leave school early almost every other day. I soon realized that part of my issue was that, I was helping everyone around me but I wasn’t helping myself. It took a while but I slowly was able to get out of the rut I was in. My self-esteem issues were in no way fixed, but it was no longer crippling me. “Service, Society, and Sacred” was really the first time I took a class that taught me to take care of myself. Whether it was through healthy eating or chanting, I value the fact that in this class I got to work on bettering myself. This started by learning how to meditate. Before this class, I had never had the patience for meditation. This was one of the first things we had worked on in this class and I learned how beneficial meditation (in the form of a body scan) was. I liked doing body scans so much that I would ask to do one almost every other class. Meditation was really helpful to me because this year I have struggled with bad anxiety. My anxiety was preventing me from sleeping and I found that meditating before I slept helped reduce my anxiety and sleep better. 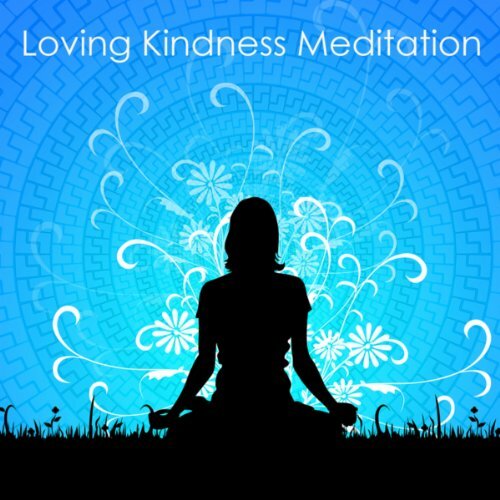 When it was time to pick our spirituality project, I chose to do the loving-kindness meditation. I found that this addressed and helped my self-esteem issues. Some of the words that I would repeat in my loving-kindness meditation were, “May I be happy, may I be healthy, may I be free from all pain had a positive effect on my mental state”. This statement helped improve my confidence, I found that if I just kept repeating those words, throughout the day and also when I was feeling really down about myself, I would eventually start to believe them. I noticed results really quickly. I was able to talk myself out of a low point just by repeating those lines because they made me realize how unreasonable I was being to myself. Another project I found very beneficial to me was the be healthier today project. In this project we got to make a change to our diet, I picked eating healthy breakfasts. For two weeks I only drank smoothies for breakfast. I noticed really positive results from doing this, my skin got clearer, I had more energy, and I was able to go between breakfast and lunch without eating a snack. The change I made to my breakfast made such a great impact on me that I continued to drink smoothies for breakfast. It made me feel good to have so much more energy and know I was taking care of my health. In Humanities in Action, I learned how to be of service to other people; in Service, Society, and Sacred I learned how to be of service to myself. The combination of these two has made me feel like a more complete person. With Humanities in Action I found my passion for service, but I didn’t know what it meant to take care of myself, I was lost. SSS helped teach me how to take care of myself and in a sense, I found myself. Having a class that helped me improve my confidence and gave me time to focus on my well being was so impactful to me and is credited to my improved state of being. SSS has given me the resources to become a more fulfilled person. This is something I never expected from a class. As I finished with our final class in SSS this week and have now read their final papers, I find myself wishing all students could be offered a course (or maybe a whole program) like SSS in which every student has time to figure out what they need to sustain their spirits in the long-term. This brings to mind Socrates’ famous dictim to “Know Thyself,” but so many students are never given the opportunity to relax the ego defenses and come to understand themselves. The message here, however, is that – given the right framework and activities – students can become whole human beings through simple practices. Healthy eating, chanting, body scans, and loving kindness meditation were Ana’s choices; but each student needs to be given a full menu of choices to fit their particular personal make-up and character. An education for self-understanding is absolutely essential for students, and will enable them to find the right balance between serving the world and taking care of themselves. Ana (front row right) on the last day of Service, Society, and the Sacred. This entry was posted in Uncategorized and tagged Community service, compassion, happiness, Humanities I in Action, meditation, mindfulness, Service society and the sacred, spiritual practice, wisdom. Bookmark the permalink.